Despite the relentless pursuit to remove God from the public sphere, our founding fathers believed that rights and freedoms should not be granted by governments or kings, but by our creator. It's clearly defined in our Constitution, which lays out the delicate balance of the roles of religion, rights, and lawmakers. 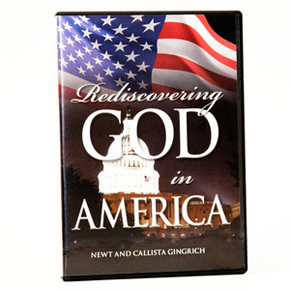 Join Newt and Callista Gingrich as they rediscover a nation founded under God.